I want to share this fun project I made after being inspired while surfing on Pinterest. Here is the link where I found this fun tutorial at. 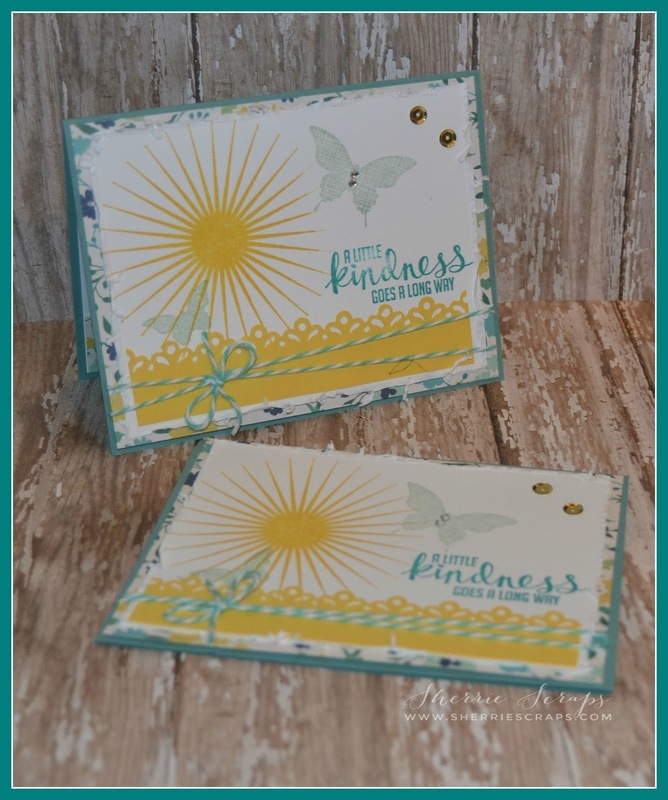 This would make a great little gift set to give someone and of course you could change it up a bit just by using different papers and/or embellishments for birthdays or holidays. I started with cardstock from SU and the pattern paper is from My Minds Eye. I decorated the front of the card holder layering a few panels down. I used the DIA to give the edges a fun distressed look. I created a pretty white panel with the Spellbinders A2 Valiant Honor die. 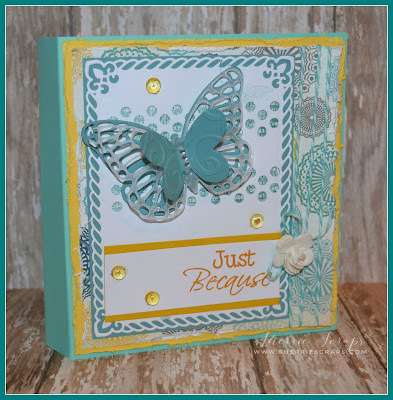 I stamped a background using SU Kinda Electric stamp set. The butterflies are SU Butterflies Thinlits die set. 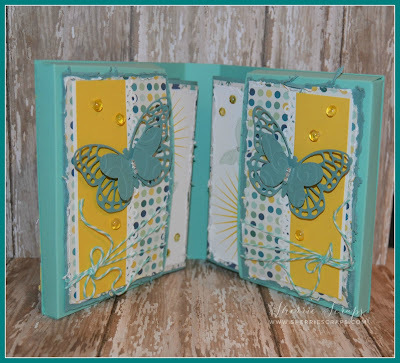 The larger butterfly was cut with wax paper for texture and the smaller butterfly embossed with the Divine Swirls folder. 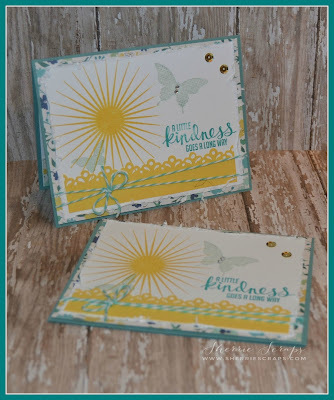 The sentiment is from Craftin Desert Diva's~Say it Big stamp set. 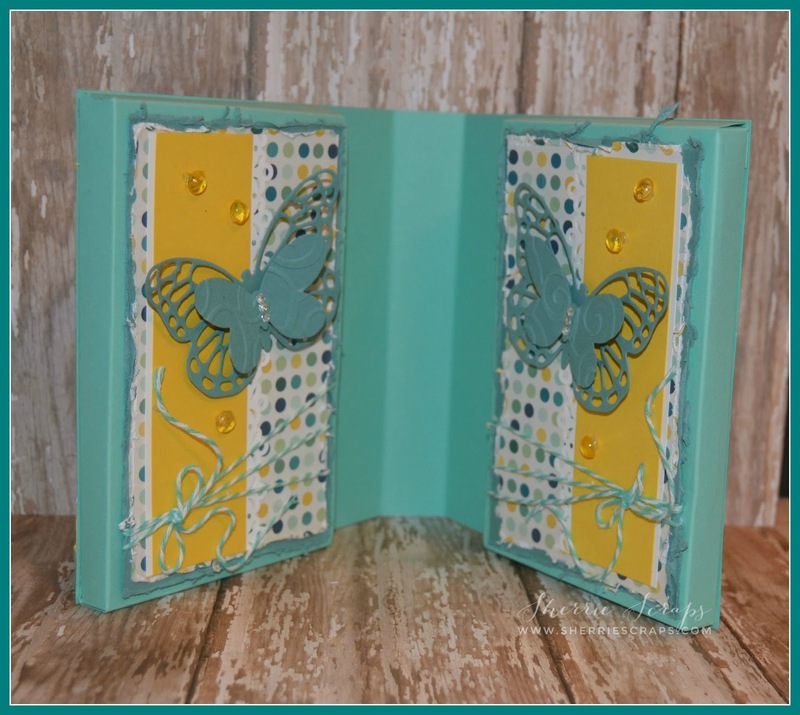 The inside was layered and distressed using papers from the same paper pad. The butterflies again from SU Butterflies Thinlits die set. The twine is Caribbean Twine is from the Twinery. I made these adorable matching cards (8) to fit inside using the same supplies~ The border is a Recollections border punch and sequins from my stash. The images and sentiment on the cards are from SU Kinda Electric stamp set. I finished with cute little dew drop embellishments (skittles) from my friend, Carri at DoubleClick. What a beautiful gift set!! 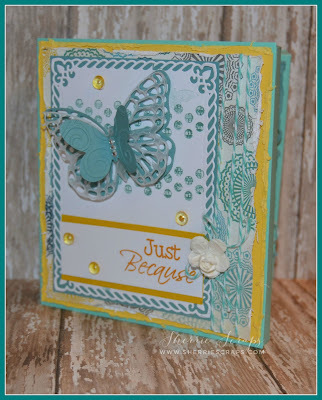 Love the colors and the pretty butterflies!!! Have a great day. Gorgeous gift set! The colors and patterns are so pretty together and I love the fun design! Beautiful butterflies too! What a great gift set. This certainly would be fun to make and give as gifts thanks for the link to the tutorial. Oh this is such a beautiful set Sherrie, love the colors. Will make a great gift. so glad you had a great time on your vacation!! Ohhhhhhhhh this is gorgeous! LOVING the colors and the butterflies!!!!!!!!!! How gorgeous is this!! OMG Sherrie this project is FABULOUS!! This is such a delightful gift, Sherrie! I love...LOVE these papers!! This is a lovely set. Hope your day is wonderful! Sherrie ~ First of all this is GORGEOUSLY decorated! The colors and details are amazing but the whole idea ~ I LOVE!!! Thanks for sharing this ~ I am going to have to give this a try! LOVE it!!! Gorgeous gift set, this would make amazing holiday gifts, you never can have enough cards. This is such an awesome and fun gift idea! Love it!! Beautiful gift ensemble Sherrie! 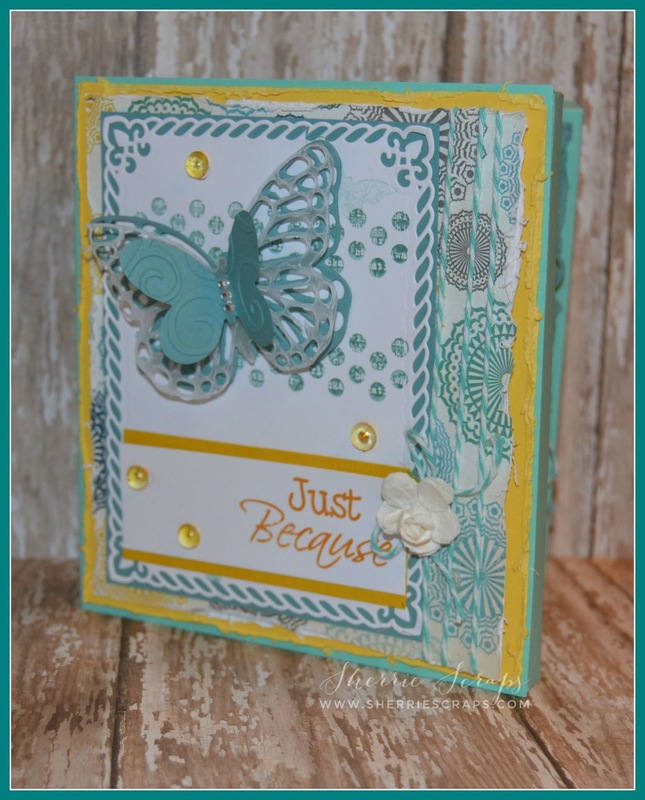 Love the pretty layered butterflies! Someone will surely be tickled to receive this! What a gorgeous gift set!!! Love!!! Absolutely beautiful. You are correct this would make fabulous gifts. Sherrie this is so beautiful ! So thoughtful and wonderful ! Oh wow, this is so gorgeous, Sherrie!! I love the design!! The colors are so beautiful together!! I'm totally going to check out the link on how to make this...what a great gift idea!! Fabulous as always my friend!! This is just so pretty! The colors are just so gorgeous, and the design is fabulous!